Rescue. It's not just a word. 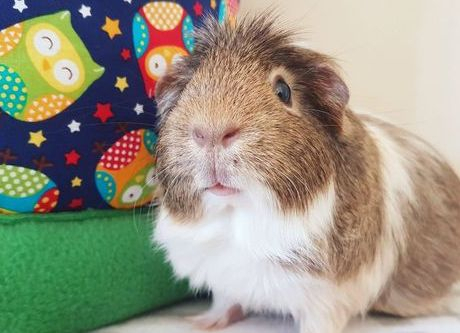 Alittlebitiffy Animal Sanctuary is a non-profit, non-funded guinea pig rescue dedicated to giving the smaller, sometimes forgotten pets a second chance. As a rescue, we rehabilitate and rehome guinea pigs that are surrendered to our care. As a sanctuary, we provide a loving permanent home to injured, special needs and chronic or terminally ill pets. Currently a small charity with very big dreams, we're passionate about bringing big hope to little animals. The Sanctuary is registered with the Australian Charities & Not-for-profits Commission. Our governing documents can be found at www.acnc.gov.au. Please note, visits to the Sanctuary are by appointment only. If you'd like to come meet the guinea pigs in our care, please don't hesitate to get in touch! Due to our unpredictable and constantly changing schedule, we're best reached via SMS or email. To provide sanctuary and aid to any injured, malnourished, abused, neglected, abandoned or ill animals. To raise awareness and abolish the stereotypes that word-of-mouth and incorrect pet store advice has created. To take whatever actions necessary within the law to improve the health and quality of life of any animal living in unhealthy conditions. To raise awareness regarding the results and negative impacts of irresponsible breeding. To teach the community that smaller "pocket" pets have an equal right to life, medical care, security and responsible ownership as dogs and cats. To highlight the importance of appropriate diet and housing, and the significance of these factors in regards to health and wellbeing. As well as accepting surrenders, we offer boarding facilities. 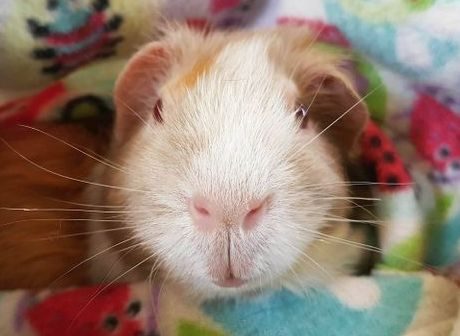 If going on holiday and having no-one to look after your guinea pigs is your reason for surrendering, please consider using our boarding services instead. Grieving the loss of a beloved piggy? Having gone through it many times ourselves we understand how difficult this time can be, and highly recommend Pets R.I.P for grief counseling and cremation services. Alittlebitiffy Animal sanctuary was founded in 2013 in Townsville, North Queensland, by husband and wife duo Graham and Iffy (Team Griffy). Iffy graduated with a Bachelor of Science majoring in Zoology and Marine Biology in 2015, is currently studying Veterinary Technology at the University of Queensland, and has many years of experience in rescuing and rehabilitating native wildlife as a Wildlife Carer. Graham graduated with a Bachelor of Science majoring in Biotechnology and Aquaculture in 2014, and has over a decade of experience in caring for freshwater fish. Over the years, Team Griffy has supported several animal rescues and welfare groups, and through working with these groups they noticed a common trend: the smaller animals were sometimes forgotten or incorrectly cared for because of a gap in knowledge. While dogs and cats had readily available vets, consultants, behaviourists, groomers and other knowledgeable professionals, there were very few sources of reliable and accurate information for guinea pig owners wanting to know how to best care for their piggies. This sanctuary was created to fill that gap and abolish the misconception that the smaller pets; such as guinea pigs, rabbits, rats and mice, are less important or easier to keep than other domestic animals. In 2016, Alittlebitiffy Animal Sanctuary relocated to South East Queensland where it now operates in the Lockyer Valley. The Sanctuary works closely with the University of Queensland School of Veterinary Science, with our rescue piggies helping veterinary students learn how to handle, examine and diagnose guinea pigs. Our veterinary care is provided by the UQ Vets Small Animal Hospital Avian and Exotics ward with Dr. Bob Doneley (BVSc FANZCVS (Avian Medicine) CMAVA) and Rebecca de Gier (Deputy Lead Nurse in the small animal hospital and the senior veterinary nurse in the Avian and Exotics department). Our guinea pig care guide is an easy to read, fully illustrated, digital care guide to help piggy parents of all experience levels. Click below to learn more or to purchase your copy today!